The first four Sisters of the Good Shepherd Order arrived in Melbourne in 1863 at the invitation of Bishop James Goold and set up their Abbotsford Convent (VHR H0951). The order originated in Angers, France where they had provided care and protection for women and girls. In 1904 some of the Sisters from the Abbotsford Convent arrived in Bendigo at the request of Bishop Stephen Reville to set up St Aidan's Orphanage. A house and 40 acres of land had been purchased for the orphanage, funded by the estate of Rev. Father Dr Henry Backhaus. The Sisters also established a refuge for women. 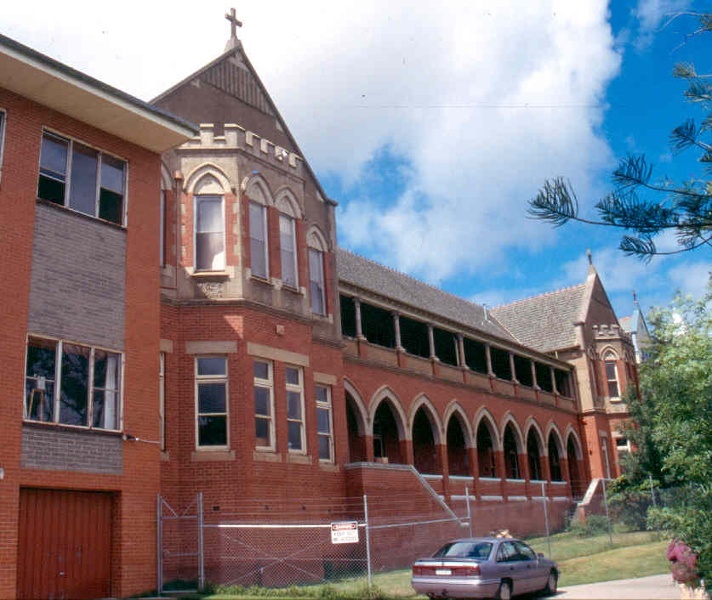 Bishop Reville stipulated that both boys and girls be admitted to the orphanage to avoid splitting up families and St Aidan's Orphanage became the only Good Shepherd convent in Australia to care for boys as well as girls. 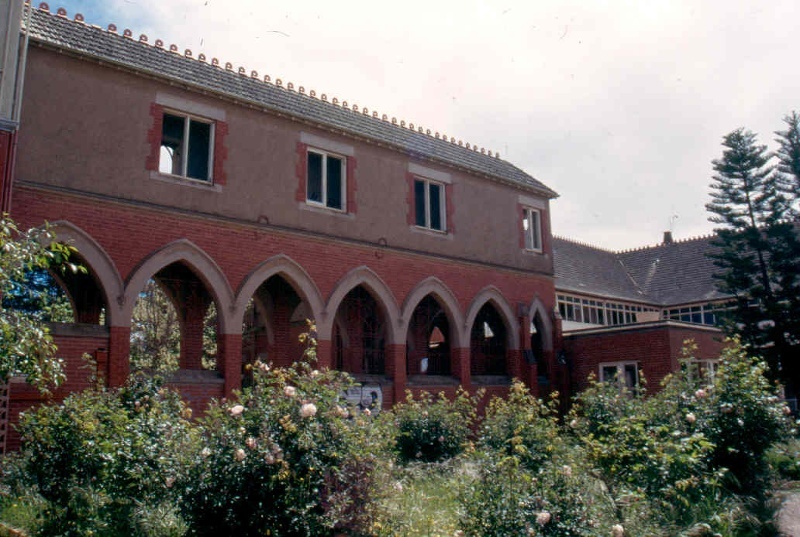 A large French Medieval style building, designed by prominent firm Reed, Smart and Tappin of Melbourne and supervised by Keogh and Austen of Bendigo, was officially opened on 19 July 1905 before a crowd of some 2000 people. The imposing form of the building was alleviated by a simplicity of detail, asymmetrical massing and a picturesque tower with a bellcast roof. Between 1909 and 1912 the building was completed including a two-storey block for boys comprising dormitories and a dining room known as 'The Lodge' (now demolished). A separate laundry was built at the same time as the 1905 building but it is believed that the current laundry building dates from the late 1920s with an extension in the 1950s. In 1924 the cast iron entrance gates and fence were built. The orphanage continued to grow and in 1930-31 a two storey building designed by EJ and KB Keogh was constructed to the east of the 1905 building. With its gables and Gothic arches, it complemented the 1905 building. The Sisters received a government grant of £7000 from the Unemployment Relief Fund towards the cost of the building and local unemployed men worked on the site. This was a major work in Bendigo during the Great Depression era. Opened by the Premier EJ Hogan on 14 June 1931, the building was widely admired for its modern conveniences including a separate sick ward and heating system. Further accommodation was provided with the construction of a building in 1956 (not included in current ownership). By the 1970s the philosophy of the Good Shepherd Order had evolved from protecting people within the convent to helping people outside the walls of the convent and gradually the order?s large convents and institutions around Australia closed. 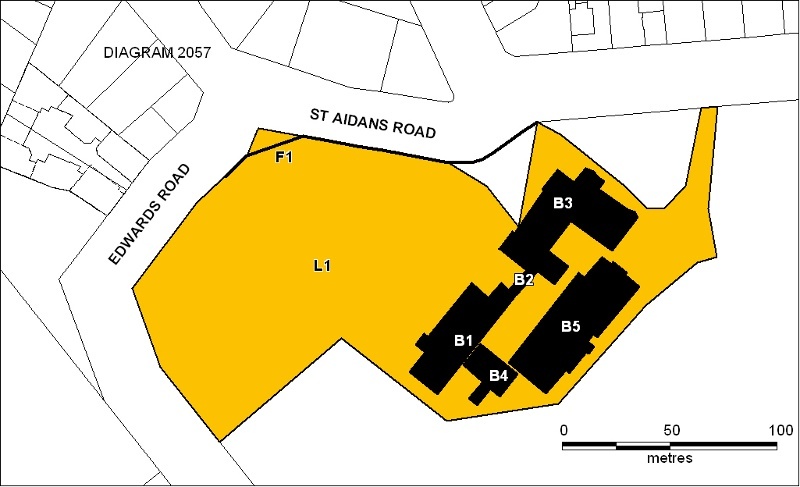 During the 1970s residents and Sisters who were living at St Aidan?s were moved to houses outside the convent. The complex was sold to Girton College in 1984. The imposing buildings were once surrounded by a large estate with a farm, orchard and park-like garden. The land has been reduced by subdivision, but the front garden survives. The garden includes seven Canary Island Date Palms (Phoenix canariensis), a Monterey Cypress (Cupressus macrocarpa) hedge, a Golden Cypress (Cupressus macrocarpa 'Horizontalis Aurea'), a Mexican Fan Palm (Washingtonia filifera), footings of two removed statues and curving drive and paths. 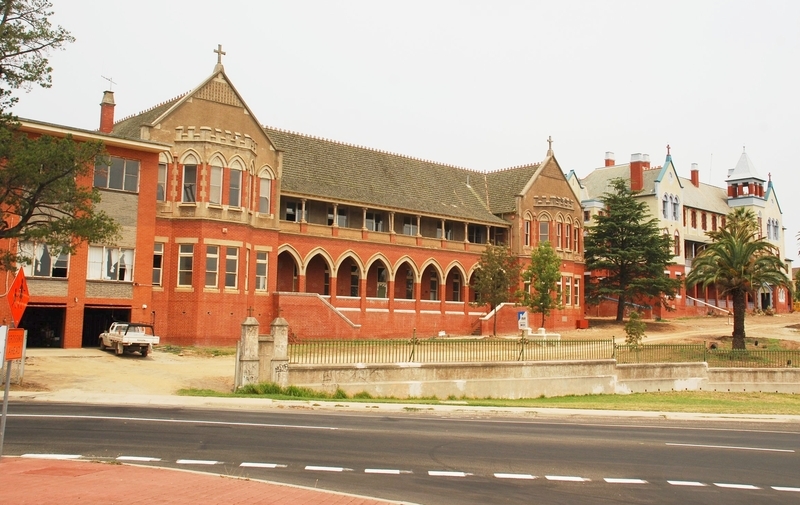 St Aidan's Orphanage is of historical, social, architectural and aesthetic significance to the State of Victoria. The complex has historical significance as one of the largest and most visible charitable institutions in the State. The orphanage and refuge had a long history of accommodating and educating generations of disadvantaged women and children. The 1931 addition to the orphanage is a tangible reminder of the extent of poverty during the Depression era, the rising number of State wards in the system and the increasing pressure put on institutions such as St Aidan's. The complex is historically important for its associations with the Good Shepherd Sisters who have made a significant contribution to social welfare throughout Australia. The complex is historically important for its associations with the Catholic Church and the important role the Church played in the history of social welfare in Victoria. The landmark buildings at St Aidan's Orphanage dominated the surrounding countryside, giving a high visibility to the charitable works of the Catholic Church and making a compelling statement about its authority. The complex has associations with significant members of the Church including Rev Dr Henry Backhaus, (1811-1882), pioneer clergyman of the Roman Catholic Church on the Bendigo goldfields, whose estate provided the land for the building and who is commemorated in the foundation stone of the main building. The complex has further associations with Bishop Stephen Reville (Bishop of Bendigo, 1901-1916) who initiated the establishment of the Orphanage. St Aidan is the patron saint of the diocese of Wexford, Ireland, the birth place of Dr Reville. The former laundry has historical significance as a rare surviving example of a large industrial building attached to an institution attesting to the size of the complex and the nature of the work involved in its operation. The complex has architectural significance as a visually cohesive complex built in a complementary style over a long period. The 1905 building is a substantial work from the important architectural firm of Reed, Smart and Tappin. This firm was responsible for the design of many important buildings such as the Royal Exhibition Buildings and Trades Hall, as well as the Good Shepherd Convent in Abbotsford. The buildings are given added drama and prominence by their location on the crest of a hill overlooking the landscaped grounds. The complex has aesthetic significance for its landscape setting with its collection of palms and cypress and curving drive and paths. The garden, the footings of statues and the encircling fence contribute to an understanding of the place as a refuge from the outside world. Conversely, the spacious grounds were also used as a venue for events such as fairs, garden parties and religious celebrations which drew the outside community into the orphanage. St Aidan's Orphanage has social significance for the large numbers of children and women who resided, worked and were educated at the orphanage and refuge. 1. All of the land described in Certificate of Title Volume 10160 Folio 179 and marked L1 on Diagram 2057 held by the Executive Director. 2. All of the following buildings and structures shown marked on Diagram 2057 held by the Executive Director. It was not until 1850, following an increase in population and the establishment of the Melbourne Hospital, that a petition to the New South Wales government resulted in an agreement to a grant of land. In 1854, Bishop Perry, President of the Melbourne Orphans Asylum, applied formally for the ten acres set aside by the government for an Orphan Asylum at Emerald Hill. Three other orphan asylums were established in the mid 1850s. St Vincent de Paul's Orphanage commenced in rented premises in Prahran in 1854. The Orphanage was granted land at Emerald Hill in 1855 and a building constructed 1855-57. The Sisters of Mercy took over management in 1861 and a new building for the girls was opened in 1863. The Christian Brothers took charge of the boys in 1874. The Geelong Orphan Asylum was opened late 1855 and twenty children were selected by the committee from a longer list compiled by subscribers. The north wing was added in 1857 to cope with the rising numbers of children. 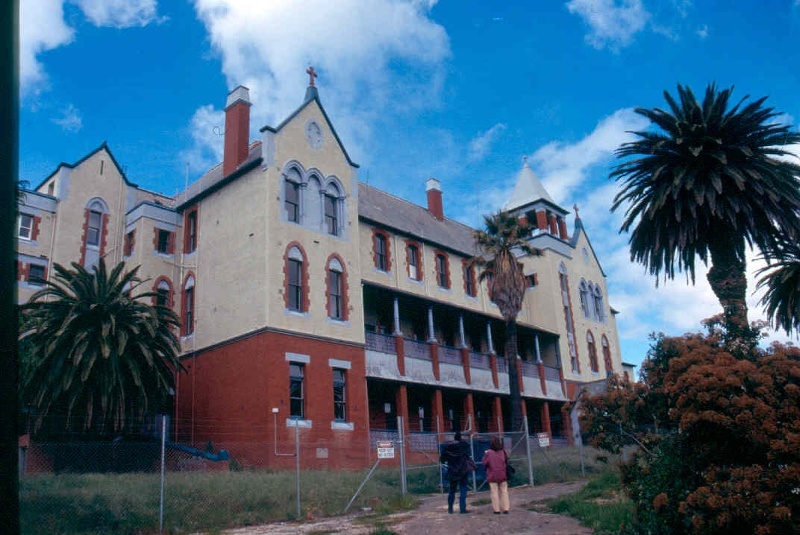 A special meeting of subscribers to the asylum was held in March 1862 to reconsider the name, since by that time St Augustine's Orphanage, the Catholic orphanage, was established. It was decided to change the name to the Geelong Protestant Orphan Asylum. The number of state wards in orphanages rose during the Depression. The government had reduced payment to foster parents, amendments to the Neglected Children’s Act in 1933 widened the definition of a neglected child and enabled courts to remove children from homes which were judged to be unfit, and the Children’s Welfare Department cracked down on mothers receiving payment thus forcing more children into care. The CWD was forced to turn to voluntary institutions to accept older state wards. As the 20th century advanced the CWD became increasingly reliant on the Catholic institutions to provide care for state wards while the institutions themselves became gradually more dependent on the income they provided. Numbers in orphanages grew during the Second World War, in particular with women trying to support large families on military allowances. Gold was found in Bendigo in October 1851. In early April 1852, a few weeks after Wesleyan James Jeffrey had preached the first sermon on the diggings, the Rev. Father Henry Backhaus arrived and celebrated the first mass. Backhaus had recently arrived in the colony from South Australia and soon afterwards was appointed the first Catholic Priest on the Victorian goldfields. He was appointed permanently to Bendigo Creek in November 1852. The son of a boot merchant, Backhaus had been an excellent student. Sent to Rome from his native born Paderborn in Prussia, he had taken a doctorate in divinity before he was twenty-five.He was also an outstanding pianist, a skilled practitioner of homoeopathic medicine, a clever businessman and an ecumenist. He soon won the respect of diggers of all creeds and walks of life. At first he conducted services in the open-air, but by May 1852 he had set up Bendigo’s first Catholic chapel in a tent. Dr Backhaus died on 7 September 1882. In 1872 he had been created a Dean, and remained in full charge of the district until 1875, when the northern part of Victoria was formed into a Diocese, and Dr Crane appointed Bishop. Backhaus was appointed Vicar-General, a position which he held till 1880 when Dr Reville succeeded him. Some 30,000 people from all creeds gathered at his funeral. He bequeathed his vast estate of properties to the church. The Good Shepherd Sisters arrived in Melbourne on 4 June 1863 from Angers, France at the invitation of Bishop James Goold. Sisters were needed to help women in distressed conditions during the rapid period of development ushered in by the gold rush. By the end of 1866 163 persons were in care at the Sisters’ Abbotsford Convent. The order expanded throughout Australia and New Zealand and by the end of the 19th century there were over 200 sisters. The 20th century brought further expansion within Australia. In 1905 St Aidan’s Convent was opened: the only Good Shepherd convent in Australia to care for boys as well as girls. By the beginning of the 20th century Bendigo had reached the peak of its gold-driven growth. Parks like Rosalind Park and impressive buildings along Pall Mall bore testimony to Bendigo’s gold wealth but as the gold gave out so the town began a slow decline, despite the growth of more diverse industry. Alongside the wealth, poverty and dislocation had also flourished and Bendigo had its share of the homeless and destitute. “At the southern end of the building is a tower 90ft. in height, from which a splendid view of the surrounding country may be obtained. The building is roofed with green American slates, and the ceilings are lined with embossed steel and zinc, while the floors are of kauri pine. The ground floor is devoted to commodious and airy classrooms, parlours, workrooms, and so forth. On the first floor is found the chapel, which contains an exceptionally handsome altar. There are also the dormitories and infirmaries on this floor, and also on the top floor. The furnishings were supplied by Messrs Henderson and Goodisson. At the northern end of the building there is a six-storeyed wing, to which access is gained from the main building by means of covered passage ways. Here are found the bathrooms and sanitary conveniences of the latest type. The septic tank system has been introduced, and forms the largest installation in the state. By 1930 St Aidan’s needed more accommodation and modern facilities. A new two storey wing to the eastern end of the building was constructed in 1930-31 to the designs of architects EJ and KB Keogh. The contractor was LS Nicholls and Co of Melbourne. The cost was £31,500. The building should admirably meet the institution’s growing needs, for it will contain dormitories, a dining hall, assembly hall, library and parlour, while a basement in the rear portion will be used for a kitchen, store and cool rooms, and other conveniences. There will also be an attic under the main roof, chiefly for sleeping accommodation. The interior walls will be plastered, and the bathrooms, etc., tiled. The building is to be artificially heated throughout. The Youth Hostel Association and later B.C.A.E. leased the building until 1982. Girton College bought the site in 1984. The site was purchased by a Singaporean interest in 1992 but remained vacant for ten years until 2002 when the site was purchased by developers Jim Vernon and Max Deipenau. At present (2003) the extant buildings on site are the 1905 main building, the 1931 building and the laundry. •Non-commercial signage, lighting, security fire safety and other safety requirements, provided no structural building occurs. 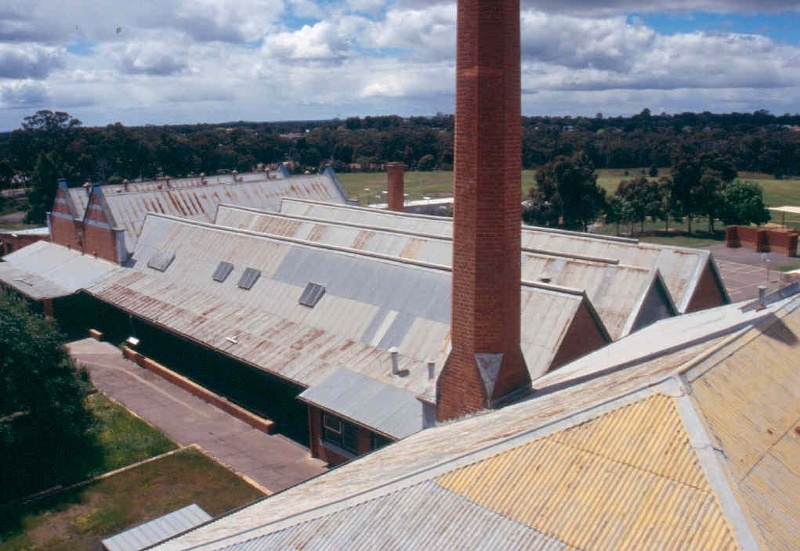 The cultural heritage significance of St Aidan’s complex is principally due to its historical and social associations with the history of social welfare in Victoria. The complex also has architectural significance as a visually cohesive complex built in a complementary style over a long period. The buildings are given distinction by their commanding position on the crest of a hill overlooking the park-like garden. Externally the buildings are highly intact with the exception of the c. 1950s addition to the 1931 building. Internally the plan form of the buildings remains highly recognisable with long corridors, large spaces such as the assembly hall, chapel and dining room, small cells and roof space. Many features have been removed such as fireplaces, original glazing, staircase balustrades and doors. Any further alterations should recognise the original design intentions and layout of spaces. The pressed metal ceilings should be retained. Alterations which impact on the significance of the exterior and interior of these structures are subject to permit applications. The landscape character including the remnant cypress hedge, palms, drive and pathways make an important contribution to the significance of the place. These elements should be retained and maintained and any proposed changes will require a permit.